This side dish can easily be changed to a vegan version by switching out the mayo to a non-dairy product. This also just so happens to pair really nicely with the Korean chicken drumsticks we made in the last post. Either way, it's perfect for one of the many grilling days to come with summer in full swing in the Northwest. 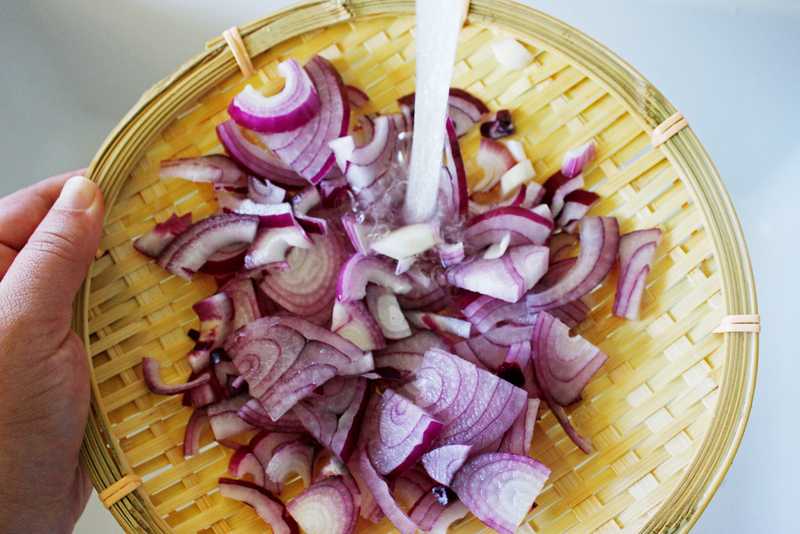 Peel, quarter then thinly slice the red onion. Run the pieces under hot water for 3-5 minutes. 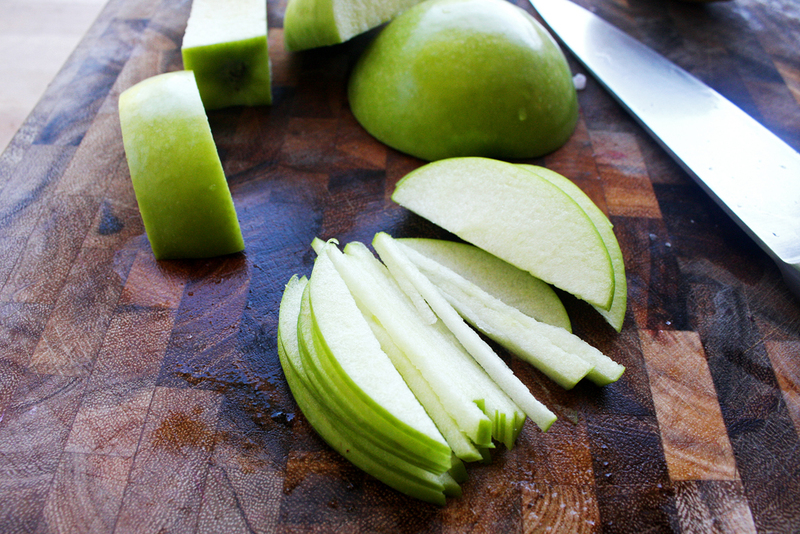 Cut the green apple, skin on, into matchstick pieces. 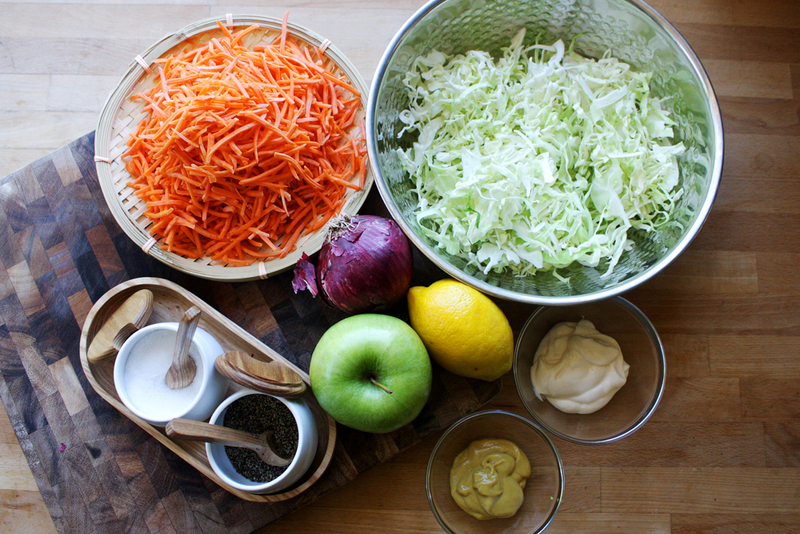 Put all of the ingredients into a large mixing bowl. Using your hands, combine everything until evenly incorporated. Add salt at this stage if needed. Ready to serve right away, or store in the fridge for a couple of days before hand. - The mayonnaise can be switched out with Vegenaise to make this recipe vegan.